very true. yet the big challenge in loosely coupled distributed systems is to keep track of the inter-dependencies, so as to know where to do code changes whenever a business rule change. In my experience we are very bad at that – we still rely too much on PEOPLE remembering the details of the system, rather than a catalog or some automated inventory. You know, whether the way your business processes are wired together is done in a bpm tool or not, the complexity of what these processes really are, exists. When you don’t put them in a tool, you tend to focus on just the one event at a time, and that does seem simpler: for the developer. But not for the owner of the processes. You are absolutely correct about one aspect for most of these tools, they centralize some really basic coding techniques, and a bpm tool is just another notation. I think what will be interesting to watch is if these tools advance as nearly all other notations have that survived, to express more complex branches in a more succinct syntax. I must recommend Jim Webber (hope I remember his name correctly). He has an excellent presentation called Guerilla SOA that pictures this problem perfectly. If you have to do integration with legacy system an orchestration engine remains one of better solutions because you have to care your side only, so no issue about unit testing as well as version control. The listed points are true for all visual tools (also for differents purposes – I hated Oracle Report, Crystal Report, Microstrategy and so on) but will be interesting investegation on pro cons on using a centralized orchestration system (on which I can develop without visual tool limitations) vs pub/sub approch, also in case when I have to “talk” with legacy system. While I’m a big proponent of the SOA-EDA-style publish/subscribe approach, I don’t think they preclude workflows. I believe the two approaches can coexist. With WF4 for instance, custom activities can be written to interact with a service bus such as NServiceBus, sending commands and listening for events,etc. I’ve found that the visual (bi-directional) communication of intent to business stakeholders provided by workflow technologies can be worth the extra hoops they sometimes force us to jump through. As far the testability story, WF4 does offer a lot more in that respect. While I could probably accomplish the same goals using sagas but for specific scenarios, I like the visual medium that a workflow platform like WF4 provides. As usually happens in these discussions, you start out by claiming that centralized workflow is bad, but then try to justify that claim by complaining about the tooling. “I have yet to see an object-oriented workflow drag-and-drop engine.” – What if you did? “I can tell you that the keyboard is at least 10x more productive than the mouse.” – Who says a centralized workflow engine has to be operated using the mouse? “…these workflow tools guide developers down a path where it is very likely to end up with big, monolithic, procedural, nested code.” – There is no reason why a centralized workflow engine couldn’t encourage encapsulation as much as an object-oriented language does. “It tends to be VERY difficult to unit-test these kinds of workflows.” – But is that because of the nature of the solution, or the inadequacy of the tools? “When working with a team, the ability to diff and merge code is at the base of the overall team productivity.” – Why couldn’t a workflow tool show you graphically where your diffs are and allow you to merge them? Integrated development environments, in-depth debuggers, and unit testing suites for mainstream languages didn’t spring up overnight; they have been developed over a long period of time, and they are still developing. That doesn’t mean that the concepts in these languages were invalid until the tools caught up. If what you are really arguing is that a decentralized approach is better than a centralized approach because the tools to support a centralized approach are not up to snuff yet, that might be a perfectly valid argument. But then you should approach the discussion from that perspective, and the title of your article should be “The Danger of Centralized Workflow Tools”. Then we could have a reasonable discussion about the pros and cons of centralized over decentralized workflow, without dragging in these ancillary concerns. I for one love the concept of centralized workflow, but I won’t use things like Workflow Foundation specifically because the tools are cumbersome and the results are difficult to debug and maintain. But I look forward to the day when the tooling removes those restrictions. When doing SOA properly, having only one logical publisher for a given event type, there is always only one place where a given piece of functionality/data exists. Yes, too much business logic gets thrown in those ETL jobs turning them into their own monstrous broker type environments. I don’t think that I’d agree that the complexity of all processes is inherent – many times I’m able to work with clients and simplify their processes greatly by partitioning them. Other times, we see the process give way to a *policy* which is very well modeled using sagas. Jim and I see very much eye-to-eye on these matters. He calls these types of tools “visual COBOL” and I think that’s spot on. Even if you take the visual parts out of the equation, centralized architectures tend to lead to more monolithic code bases – less maintainable and worse performing than distributed architectures. Distributed pub/sub architectures don’t preclude workflows, but don’t work with *centralized* workflows. Within each publisher or subscriber, there could be some workflow. It’s been my experience that visual tools don’t help under most circumstances. On the practical side of things, I’d prefer to use an architecture where the tooling enables me to get things done productively, resulting in high performance and maintainable code. If a centralized workflow tool was created that handled all the concerns I raised above, I would evaluate it on its merits. Regardless, centralized architectures have proven themselves problematic repeatedly leading us, as an industry, to things like the Single Responsibility Principle – dividing things up so that they don’t all sit in one place. Anyway, if you hear of such a tool – ping me. I’d love to take a look. Managing complexity is the fundamental challenge. If we let any part of our system get into a state of high complexity without putting the neccessary controls in place we end up in a world of pain. One of my battle scars was a system that was highly configurable, the problem was this meant administrators were overwhelmed and the task of configuration of all but the simplest of settings was handled by developers. Configuration is harder to test than code so in the end it was a slower and less reliable way of introducing change to the system. Humm. I’m not sure if I fully agree with you assessment Udi. 2) Workflow Visual Tools require some experience in logic and programing. 3) They allow analysts to communicate better with programmers and vice versa. The problem is that vendors push these products to top level analysts, when indeed they are all about development productivity. This leads to all sorts of problems. Therefore you need to consider the right combination of portal, bpm, bam, rules engines, information management and services in function of each workflow. The only motivation I can think of for visualizing code like these tools do, is to have people maintain the logic who do not have the ability to write code. I dont see why these tools should be appealing to programmers. For me they have no appeal at all. I’m not sure that I’d agree with the assertion that these visual *programming* tools help business analysts and programmers communicate better. I’d say that verbal communication focused on “what should happen when we don’t get a response from X in T?” will drive out what the real “process” should be. It’s been my experience that the majority of logic ends up revolving around “exception management”. While it is possible for an experienced developer not to be “duped” by the things that these visual tools make easy, the question is whether those tools are appropriate once you realize the non-sequential nature of the world. Well, these tools *do* demo well and help convince a CIO to choose one platform over another. I agree the tooling for workflow engines is terrible, but it does not mean the idea is bad. The fundamental problem is that modeling the workflow surfaces complexity otherwise hidden until it resurfaces later as bugs or missing features. This makes the problem appear harder than it actually is. Modern tooling does not help the matter. Many tools are graphical and sold on the idea that laymen can use them. Trying to represent complex process (a N dimensional graph) graphically (2D) is a very hard problem. Techniques such as AOT or DSM can be used to subdivide the graph into a lower dimensionalities but these are advanced and rare. In my experience the most successful workflow engines use Monadic Combinator Libraries. If the domain is narrow enough you can bolt on a DSL / DSM tool on top. And these can finally be made simple enough for a laymen to use them. The diagram looks scary – right. What’s missing is the ‘handwritten’ code that would replace it. I’m pretty sure that would look scarry as well! Especially when written by different developers. Where I agree is that a workflow tool doesn’t help when a workflow is complex. It will be hard to develop and maintain in either way. And for the rest of the ‘not so conplex’ ones a workflow tool might not be needed at all. In large companies, ‘centralized’ and ‘tool or frameworks’ are often considered because they strrugle with inventory and documentation of their workflows. So the decision of using them not really driven by the value of this tools in development – which is limited as you say. Apples, meet oranges. You seem to be comparing workflow for everything and code for everything, when in reality each can have a role in your architecture. Nothing prevents us from implementing small, autonomous workflows as publishers and subscribers in a SOA/EDA. Your primary argument then boils down to “monolithic things are bad.” Agreed. Also, the notion that “real coders use text” is just silly bigotry. You are ignoring the capability of workflow to be an extensible domain specific language (speaking primarily from the .NET WF4 perspective) with baked in best practices. Ultimately code is code and requires a developer mindset, but we all seek higher levels of abstraction for productivity (or to provide that abstraction to some customer without quite the same level of programming and debugging abilities as we have). You can use workflow to let your customers extend your system while providing the rails and bumpers to keep them from crashing into the walls. Likewise you can use workflow to extend someone else’s system. Beats learning some kind of macro or specialized scripting language. Saying it is difficult to write a test for workflows ignores the ability to test each activity in the workflow independently. This is a little like saying it is hard to test a programming language or everything anyone could do with an API. Likewise it is difficult to test a SOA/EDA as a whole. The universe can take on an infinite number of states, so we do our best to test the transitions. Finally, not all workflows are simple flow charts. Check out state machine workflows in .NET WF, and you should see a way of managing complexity and visualization of a process out of reach for many, while fitting perfectly in the SOA/EDA ecosystem. Was going to write some of what Jerry Bullard said. And I kind of disagree with the premise of your post. Pretty sure this is a well known fallacy. The value add as a whole is what sells these products. The designer is a pretty small piece. Sadly your post is still a fair caution to many. I’m willing to agree that what you really need is good developers – they then will be able to decide which tools/techniques should be used where. I think you hit the nail right on the head – for big complex things, these workflow tools add to the complexity; for small things, those same tools are unnecessary. Seeing as you agree that centralized/monolithic things are bad, and that many of these tools are evaluated based on that exact usage scenario, I think we’re not that much in disagreement. After dividing up a system according to SOA/EDA, one tends to find that most traditional workflows no longer exist, rather they are the result of cascading events from various publishers and subscribers. What is left are sagas – a kind of workflow for which some tooling could be helpful. While one area where a tool might be useful is for integration sagas, there are other solutions that tend to be better (like I wrote about here: http://www.udidahan.com/2011/04/08/integration-how-and-where/ ) Another area where sagas are particularly valuable has to do with implementing business policies (a special kind of domain model) and these tend not to be either sequential or necessarily suited to a state machine. A rules engine would be a stronger candidate for a tool, but often the tooling gets in the way of the developer understanding the problem. Even things which are well known to some need to be repeated for others. we are using PEGA wasting millions of dollars where we could have written code for a week to achieve the same thing with testability, mockability, readability and predictability. I agree with the notion of decentralized Sagas especially for business policies – but your link to integration-how-and-where is broken. Have you seen any tools that fit this mold? I’ve put FluentWorkflow into production apps and it works extremely well – no underlying tooling/runtime required to make it work. Curious if you have seen others. Good point Jerry Bullard made,… its like the hammer nail problem found in many other problem domains: One has learned to use a hammer and soon every problem looks like a nail. I like BPEL and other visual programming tools, because when properly used help gathering requirements from business experts. Same as with mockups when designing the UI. The problem with long running batch processes prior to visual tooling, was that there weren’t any artefact’s one could use as a basis to start discussing problems at hand. What part of problem domain should be represented visually and what with traditional programming languages should be at the discretion of the developer. Tools like Websphere ID just allow to do that. The business motif: While working with my customers (usually enterprises), I noted that nothing is more important than business agility, my customer understand their business better every day and tends to asks for changes on a regular basis. Sometimes, when code is involved, small changes might be implemented in two weeks or maybe a month, while waiting so long for small changes – the customer loses his patience and belief in the program. Contrarily, when changes are committed really fast, the customers tends to keep asking for changes frequently which makes them see the software as a reflection of their business. I believe, especially in enterprises, that nothing drives agility more efficiently than the existing of implementer/power user who works closely to the business user and performs all the changes for him. Workflows tools allow implementer and Power users to change business process rapidly. Code changes involves longer IT procedure for approval: every change requires to make a contact with the IT department (or software vendors), wait for availability, ask the admin for permission to change code on the servers, install on testing servers and more – I see how those procedures exhaust my customers. All the goodies of Workflows agility can live together with robust architecture which handles complexity very well. 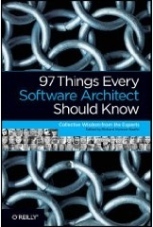 The architecture: Workflows are never meant to handle software complexity. The complex parts, as always, should be encapsulated in software units (for example, DDD entities which are consumed using services), WF activities consume the complex business entities, and then the workflow itself merely an orchestration of software activities which hide the complexity very well. After delivering WF activities for the WF system, the implanter can craft multiple different business processes using those activities, He can make changes really fast, change the sequence, change parameters, change HIGH LEVEL if-else conditions and make many other changes. I see at work, how developers code once some software component which then is being used in many different ways by implementers using WF tools. Of course, we cannot change everything using WF tools, sometimes we have to change inside the software entities but it gives a layer of agility. So, IMHO, in large systems, workflows are not supposed to be the software itself neither the business logic layer but rather a part of the application layer or facade which consumes software components in techniques that drives agility. I’ve fixed the link. I’ve never used FluentWorkflow but from a quick look at it, don’t like that it makes states so prominent. NServiceBus sagas allow you to use timeouts to “throw state into the future” without having to model it explicitly. These kinds of lightweight solutions often lead to simpler code. My concern about most of these BPM tools is that they’re usually not very good at representing time, or that they don’t guide the discussion in that direction. In that sense, leaning on a tool to facilitate discussion between IT and business may be counterproductive. Distributed architectures can greatly facilitate the exact same agility you mentioned by bringing down complexity, enabling to upgrade the system piece by piece, while still maintaining all the robustness and testability of business processes (which ARE logic, no matter what anybody tells you). Amazeballs, best synopsis of this topic yet, thanks! First of all, a BPM engine can and should make use of SOA and services provided by applications and it can make use of a decentralized message bus. Business processes usually go ‘through’ several applications and the software must reflect that by providing the means of coordinated data exchange. You can split the process logic between these applications but without any distinct coordinator you end up with fragmented logic that is difficult to maintain in almost every aspect (versioning, development, production rollout, testing, prototyping, documentation, vendor coordination, …). – and many more. Please note I’m not a salesman but rather a software architect with some experience in analyzing and implementing various business processes in telecoms and other big organizations. I’m also an author of a simple BPM engine that proved a very useful tool exactly because of features mentioned above. I agree that real-life process logic is very complicated and building a process description in some modelling language is just programming, not drawing, but please dont try to convince us that you can avoid the complexity by scattering the logic between multiple applications. And your last argument about testing,debugging and versioning: why do you think process definitions can’t be versioned or diffed? They are normal text files with structured code/data inside, not GIFs, PDFs or handmade drawings. Testing and debugging is also possible, and can be quite easy if the BPM engine allows you to look inside process state. Sorry, I must be going now, hope this subject will be discussed more here. I don’t recommend dividing up this logic between applications but rather between services. Also, in my model of SOA, services aren’t provided by applications. Instead, one can think of an application is a hosting process for pieces of multiple services. The philosophy of integrating existing applications (without changing them) has been tried before – it’s called Enterprise Application Integration (EAI). This led to spaghetti integration logic implemented in EAI brokers. Now this exact same philosophy is being touted under banners of ESB and BPM. Lipstick on a pig, as far as I’m concerned. I would be interested, though, in seeing some examples of a diff/merge process when multiple developers are working on the same set of processes. If you also have an example of a test of a process that calls in/out to various apps, I’d like to see that as well. I fail to see a difference here. In my world applications provide various services from a business perspective but these services are a product of the underlying logic, not the other way round. Maybe you are talking about services built ‘in between’ that provide the logical and technological glue between applications, or the missing parts of process between them? No, I didn’t say ‘without changing’. Just without adding a logic responsible for something that should be outside the application, like binding to other systems or data transformation required by integration. I haven’t seen multiple developers work simultaneously on multiple processes. One process is sometimes too much for an IT project. Regarding the technical side, if the process definition language is concise and no automatic code generation tools are used, I see no problem – merge just like ordinary code. And spaghetti code imho is the result of not separating the logic of different processes or different versions of the same process – this way the changes accumulate until they obscure all the logic. >> in/out to various apps, I’d like to see that as well. My approach to building and testing processes is different. Generally, the IT role in process implementation is to automate otherwise manual tasks. And the automation is a gradual process – you identify most important tasks that need to be automated first and leave the less important to be done later. When building your process definition in a BPM tool you start with all manual tasks, then you make sure the process model is accurate, and then you start replacing them with their automated versions, one by one. The most important thing is that the overall logic and data structures shouldn’t change, you just replace a manual task with its automated version without changing its interface to the rest of the process (by interface I mean input and output data). This way the tasks are completely interchangeable, provided that the interface is kept unchanged. And for testing you can ‘simulate’ any external system with a manual task or a ‘mockup’ code that responds with the same data structure. I think Yoni makes a reasonable point. I agree distributed architecture encourages loosely coupling between components, but my experience showed that distributed architecture can also downgrade the system performance greatly unless using much more expensive hardware solution. So, my point is that a proper combination of centralized and distributed architecture should be adopted based on a careful analysis. Well, there’s the first rule of distribution: Don’t. So, in some sense, you are correct. That being said, there are ways to analyze business processes so that they can be broken down into more parallel pieces that are triggered off of various events. In this model, distribution does provide performance gains as we can have more machines doing more work in parallel, but it would also scale well with more CPU cores on a single box as well. Though what you say makes some point, I dont see that you know the centralized tools you mentioned use the pub/sub architecture at the core and it depends on us how effectively we utilize it. By going with your approach of writing your own code to create a pub/sub architecure is like reinventing the wheel which someone has already invented. I am not totally convinced with the coding aspect for such scenarios. Instead of writing own pub/sub architecture I think, thinking process should go in how effectively we can use the on the shelf tools available. I’m not recommending rolling your own pub/sub tooling. What I am saying is that when choosing a tool, look for one that doesn’t lead you to create centralized workflows. NServiceBus is an example of that kind of tooling. First graph looks nice. Much easier to analyse than most ndepend graphs of object oriented projects I’ve worked on. I know this is late in coming but, I have been workign at my current company for 4.5 months and when I first came in and saw what they were trying to build I teamed up with the other programmer on the project ot show the boss what a monumental bad idea it was. And the idea was exactly this. It was a workflow engine that they wanted to have a “user-interface”. The boss agreed with us and we quickly scrapped the idea. And we have every day been appreciating how much work that saved us and how cleaner our workflow stuff now looks. I seem to have stumbled upon this topic a little late, but I have a scenario I am trying to wrap my head around. How would you approach a solution for offering multiple, customer-specific workflow possibilities in a multi-tenant system? For example, let’s say you have a default, multi-step, fairly complex workflow defined for the lifecycle of a specific business entity or process, but some of your customers may require a simpler workflow for that same entity or process; i.e. some require approvals, some don’t or maybe they require a more streamlined workflow than your default list of steps. Is there a recommended pattern or approach for offering that type of workflow flexibility and customization? That’s definitely a bullet dodged. Others aren’t always so lucky. The advice is to understand that, at a certain point, coders will need to be involved to customize the behavior for customers. The sooner you and the business make your peace with that, you can start to think about creating an ecosystem of partners who will be doing that kind of work while you look to create backwards-compatible APIs at various layers for those partners to leverage. See Salesforce and SAP as examples of where this ends up.